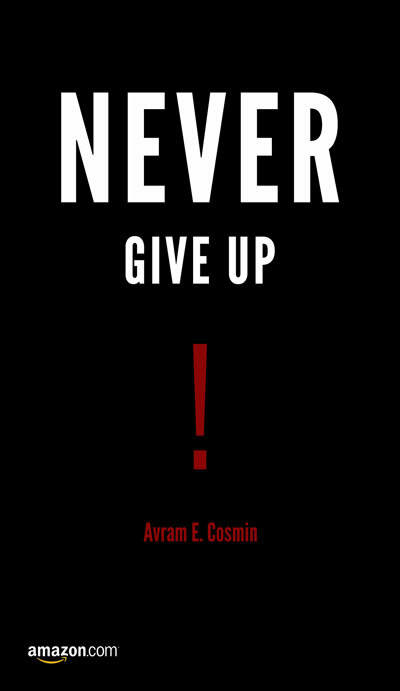 Avram E. Cosmin - Systems integrator, Published Author & Public Speaking. Never Give Up! is for the winners. It reveals what winners do and speaks of their character, how they act, what they think and what choices they make in difficult situations. This book is the manual of the winners that you do not want to miss. It allows you to learn, step by step, what you should do, when you should act and, in doing so, how to always win in life. The book Never Give Up! is not a promised land. If you expect to find quick fixes, do not read it. Life is not easy and this book tells you exactly that - "To win, you need a character and the right approach. Shortcuts and bad habits are for losers." Remember, this book speaks of general principles and general terms. It will tell you what you should do and why. What you don't get is the "how." Why? It is impossible to write a solution for each of us. The context and the situation of each one of us is special. What is true for me, it can have negative effects on you, and can only cause you damages. So, if you really want to know "what to do" and "why do it", do not waste more time - buy and read this book right away! If you are undecided then find ten good reasons not to benefit from the teachings that this book shares with you. Just because it does not sell you promises, or just because it does not exploit your weaknesses trying to convince that it can offer a miracle solution to your current situation - a solution that you will find "only" within its pages - it does not mean that you should not read it immediately. You are an intelligent person. You already know what is right for you. You do not need someone telling you that the only right decision is to buy this book. You are a successful person who knows the difference between a good read and a book over-rated or very well marketed. I -Avram E. Cosmin- appreciate your time and consideration. 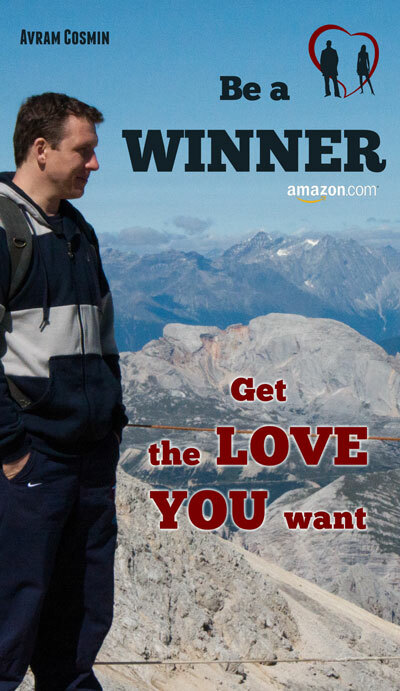 Bear in mind that this (the book "Be a Winner: Get the Love You Want") is the printed version of the book "Never Give Up! ".